How do the parties rate? 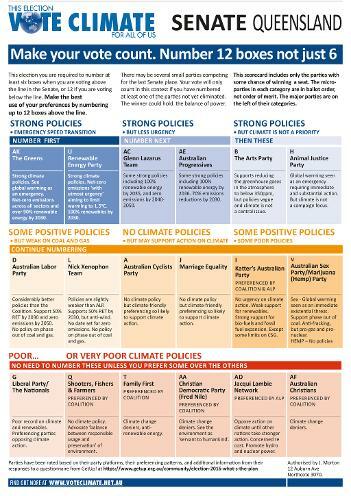 There are a lot of excellent scorecards around this election. 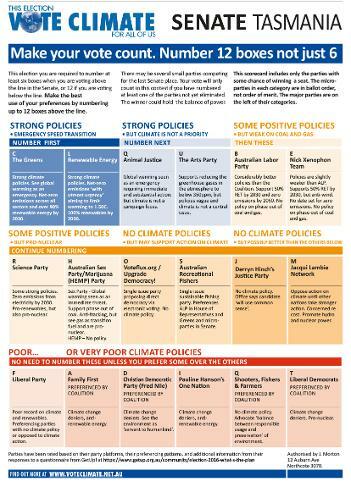 They include one from Environment Victoria based on detailed policy analysis. 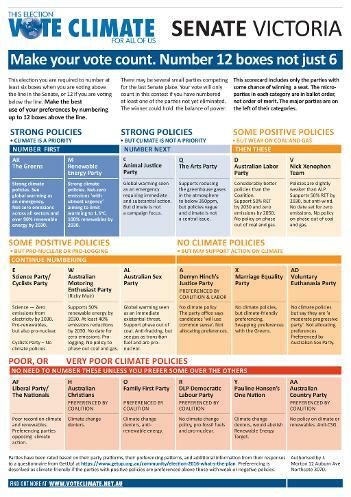 Many similar scorecards, including the one from the Climate and Health Alliance, all come to the same conclusion - on climate action, the Greens are better than Labor and Labor is better than the Coalition. 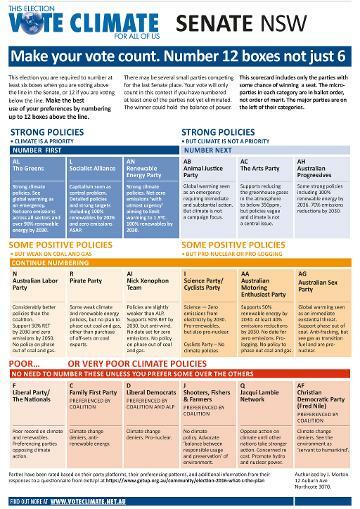 There is a great summary by Climate Citizen which shows all the scorecards. 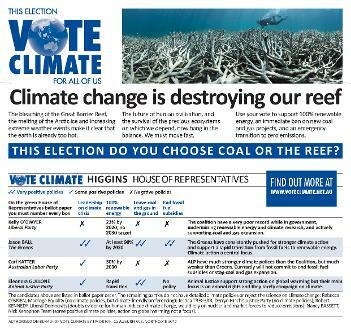 Consequently Vote Climate decided to focus on the less researched area of the Senate micro-parties this election. Below are House of Representatives scorecards for Higgins and Batman in Victoria. And further down are our senate scorecards for Victoria, New South Wales, Queensland, Tasmania, South Australia and Western Australia. 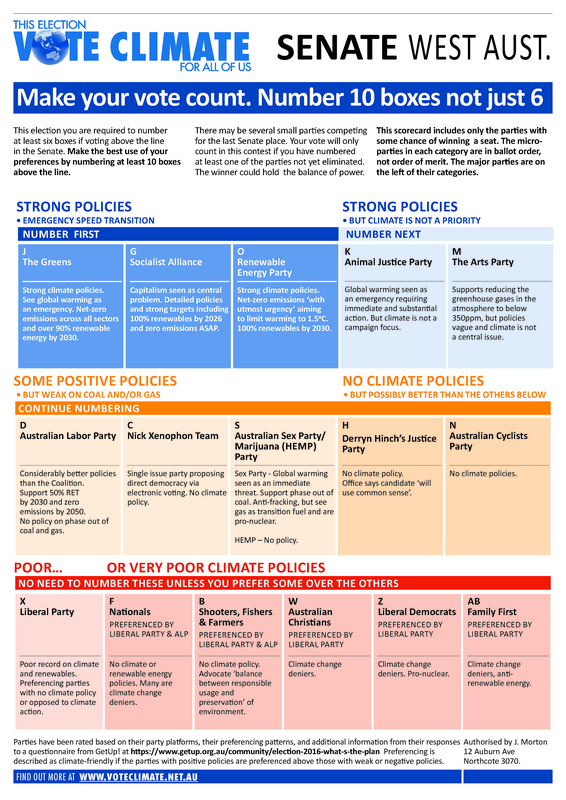 Is your MP a climate action blocker? 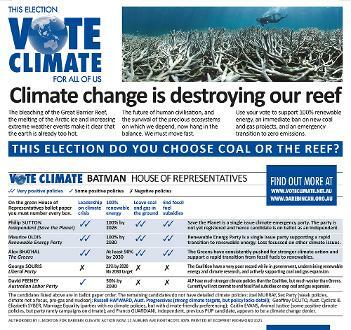 350.org are campaigning to make Australia's politics pollution free. They are asking politicians whether they will pledge not to accept donations from fossil fuel companies and not to continue subsidies to fossil fuel companies. They are also targeting the 30 worst blockers of climate action. GetUp! 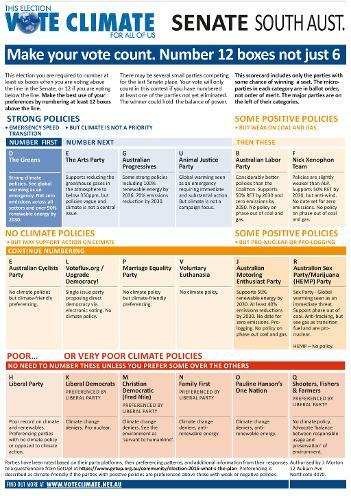 are targeting some of the extreme right wing Coalition politicians who are holding fast to retrograde environmentally destructive positions and preventing effective action on the climate emergency. Find out how you can help ensure these dinosaurs are voted out.